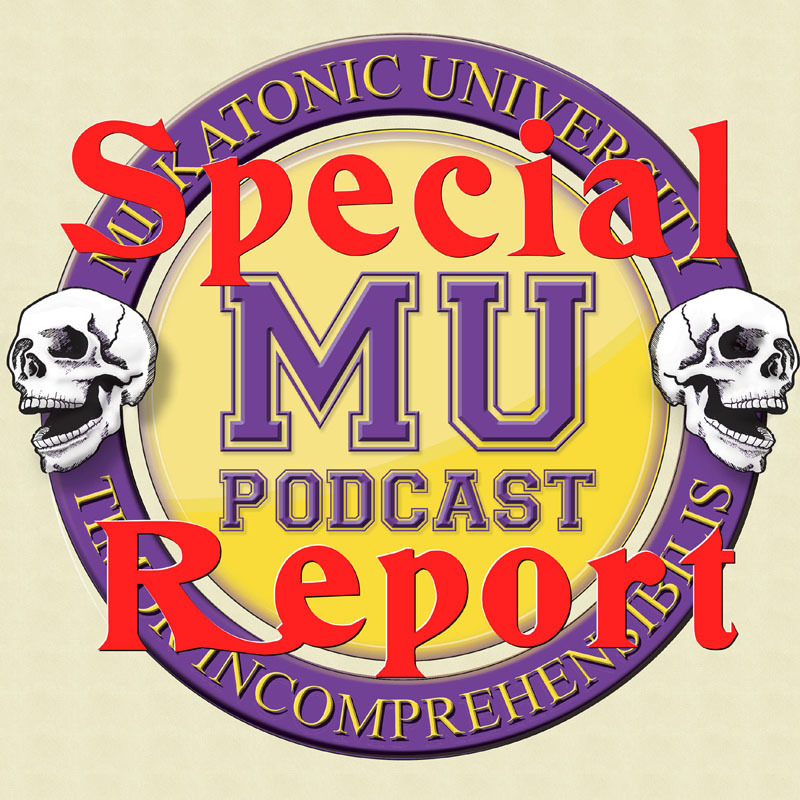 Hello, MU Nation! So…you might have noticed a bit of a hiatus in our feed since late last year. Truth is, Dan and Murph both had computers blow up, Dan is now keeping vampire hours for professional reasons, and time has gotten away from all of us. Plus, Dan has been accepted to Robot School. Congratulations, Dan! But with all this going on, we’ve been talking about how to resurrect the podcast once again and how to keep it afloat in stormy seas. For one thing, we’re talking with some generous volunteers who may be able to help share the burden of audio editing, which is the most time consuming part of this little Mythos circus. We haven’t podfaded. It was just a pod-hibernation. But spring is coming, the glaciers are melting, and we’re all starving for berries and marmots. So stay tuned. And thanks for hanging in there!